Our classes are designed to deliver RESULTS and give you everything you need to create a lean, toned, fit and balanced body. Commit to HIP and you will see and feel the difference. 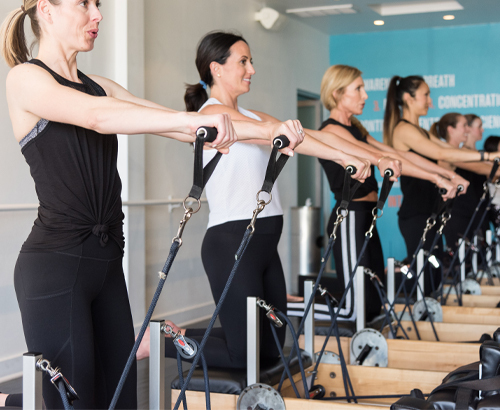 High Intensity Pilates®, HIIT 50, Cardio Band, Optimal Refine and more! 50 minute group classes, 7 days a week, with certified and experienced Pilates trainers! Want to come to class but aren't sure what you should and shouldn't be doing. Find out everything you need to know to continue your workouts throughout your pregnancy. New Series September 8th, 15th and 22nd.